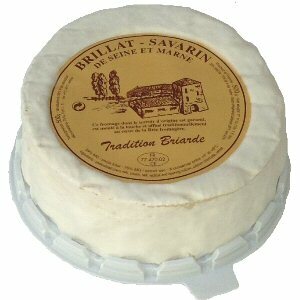 Brillat-Savarin is made from pasteurized cow's milk and enriched with cream. 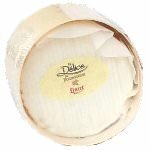 It is a round cheese, a little over 1 pound, with a very soft interior. 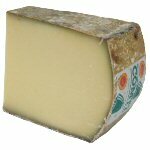 The cheese has a creamy taste, and a milky aroma with light lemon sour tones. 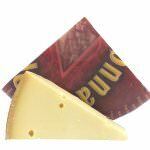 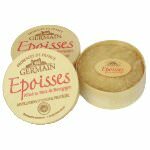 When serving French cheese, this would be one that is a clear winner and can be combined with all kind of accompaniments, like dried fruits, variety of crackers and crusty bread, honey, fruit pastes etc. 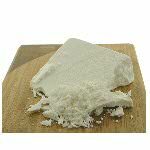 Ingredients: Pasteurized cow's milk, cream, salt, lactic and ripening culture, calcium chlorhyde, rennet.